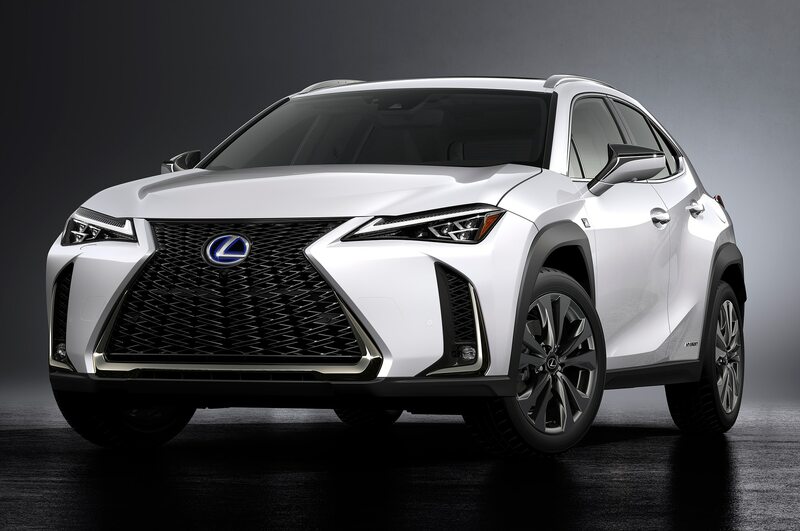 Lexus likes to crow about the success of its RX crossover, and it well it should. 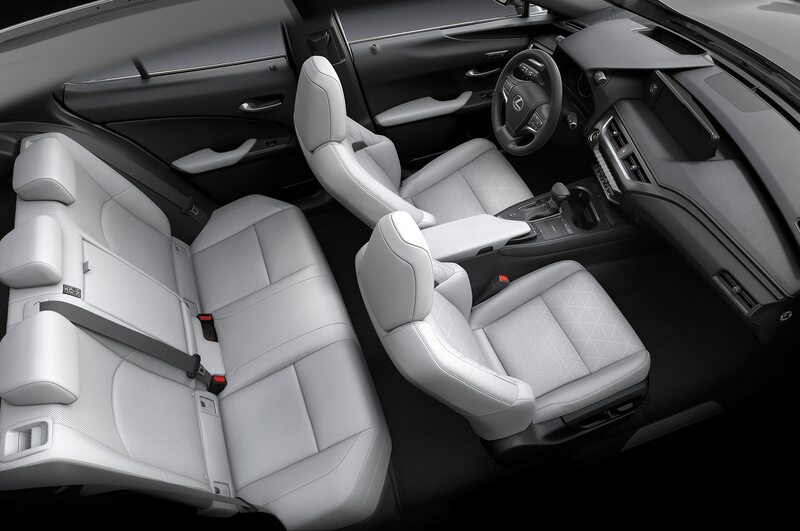 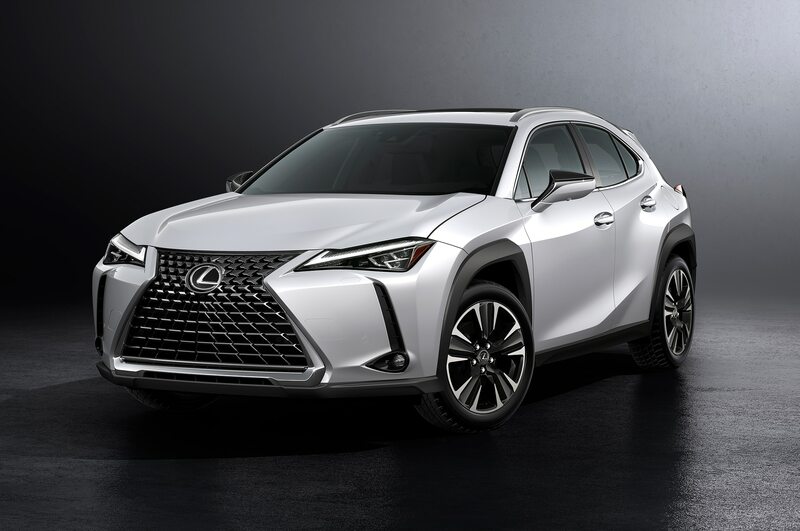 It’s a vehicle that has in many ways come to define the midsize luxury crossover segment. 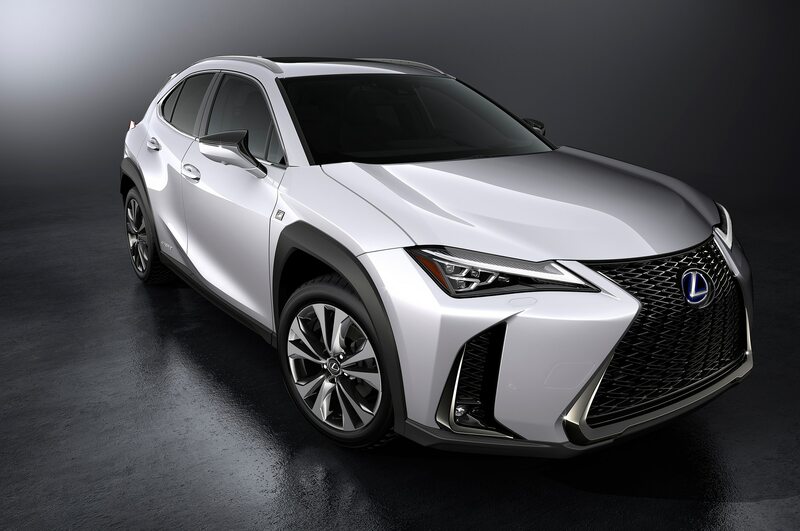 A vehicle that has continued to thrive for two decades in the face of a vast herd of competing offerings that have flooded the market looking for a piece of the action. 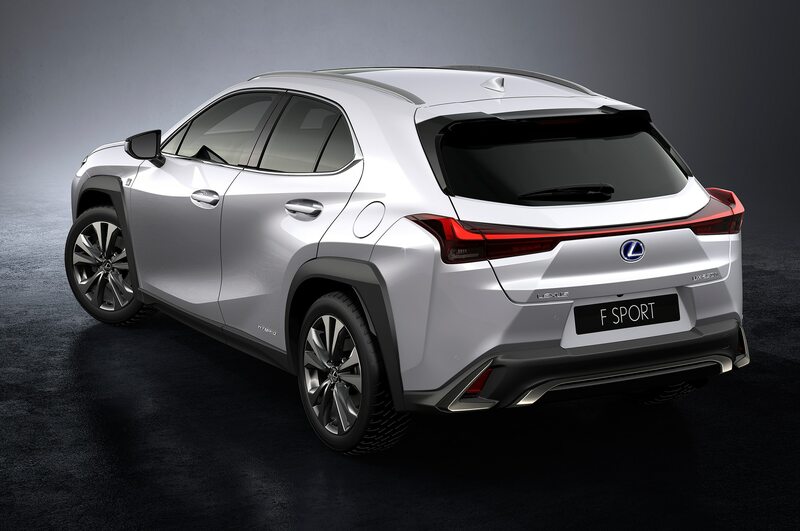 But there are limits to the RX. 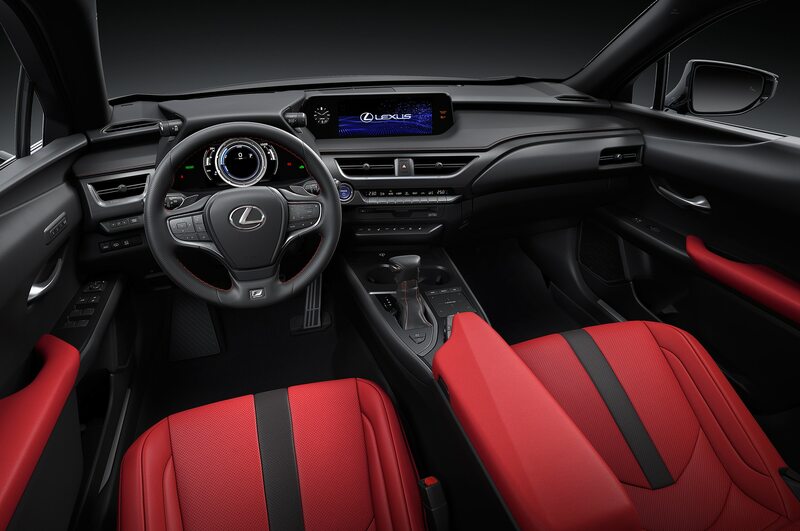 It’s more inclusive, attainable, and family oriented. And its bigger brethren, the GX and LX, while more expensive, exclusive, and well-appointed, are boxy leviathans that are among the last true body-on-frame SUVs still on sale in showrooms—endangered species in effect. 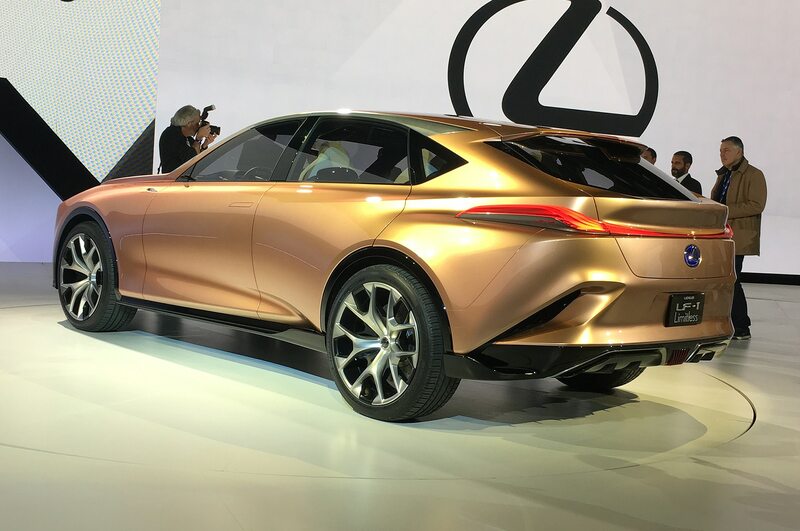 The Lexus LF-1 Limitless concept Lexus is rolling out to the world at the 2018 Detroit auto show is a styling exercise that’s intended to (you guessed it) address the limitations of those vehicles. 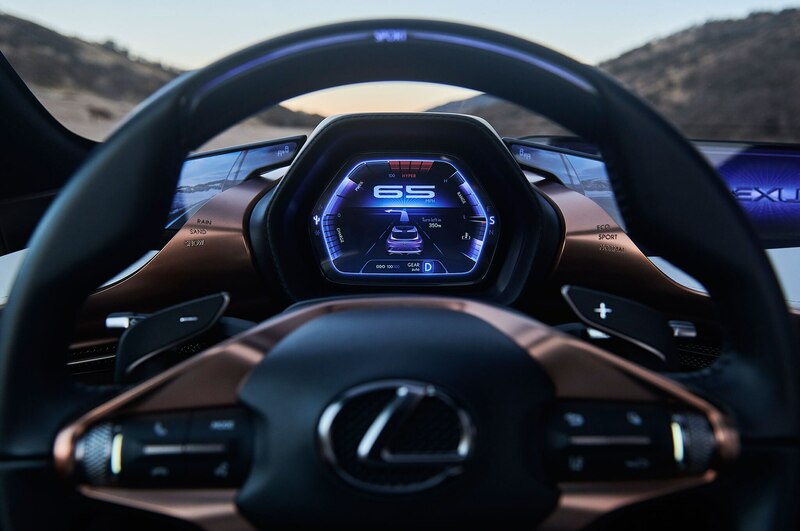 The LF-1 is a four-wheeled bullhorn of sorts, shouting loud statements about how far Lexus intends to push into the luxury stratosphere and where its present design philosophy is headed. 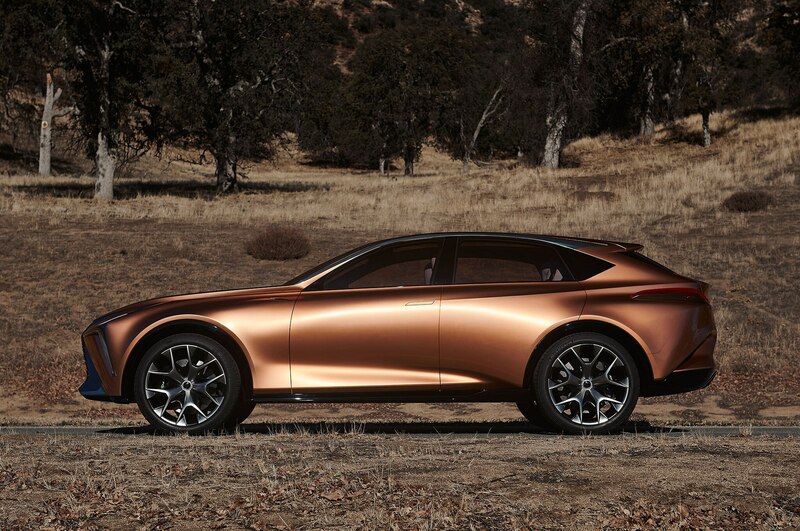 It’s a vision for what a Lexus flagship crossover could and probably will be in the future. 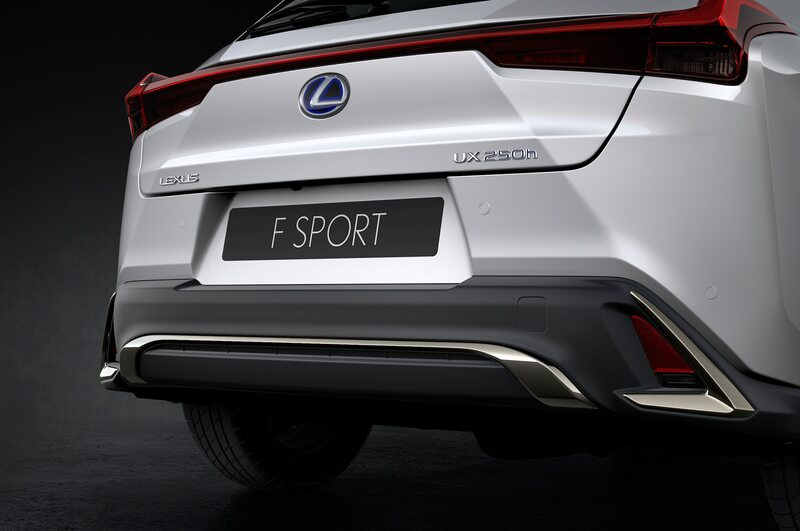 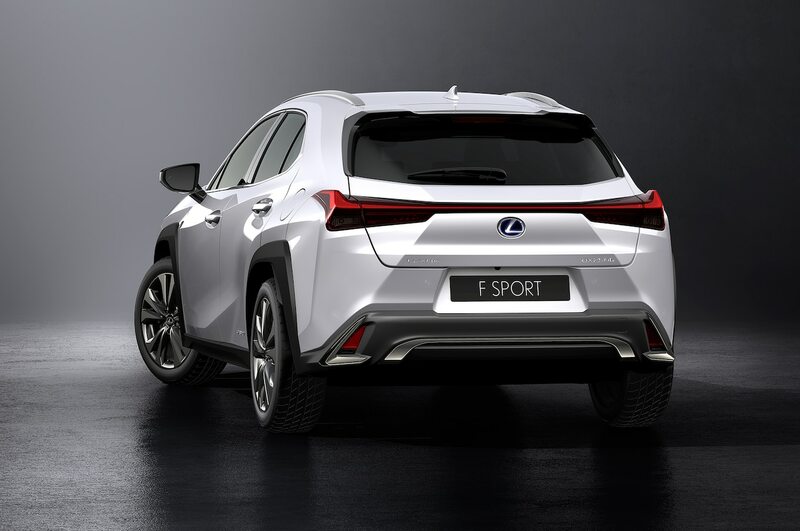 Performance comes up early in the press material Lexus released about the LF-1, and although there’s no specific mention any powertrain (why limit yourself? 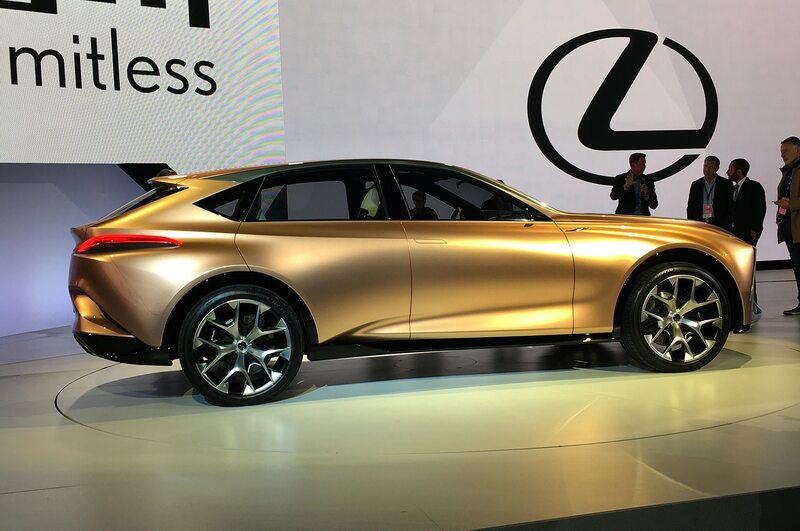 ), the sporting intentions of the Limitless concept are obvious from the jump. 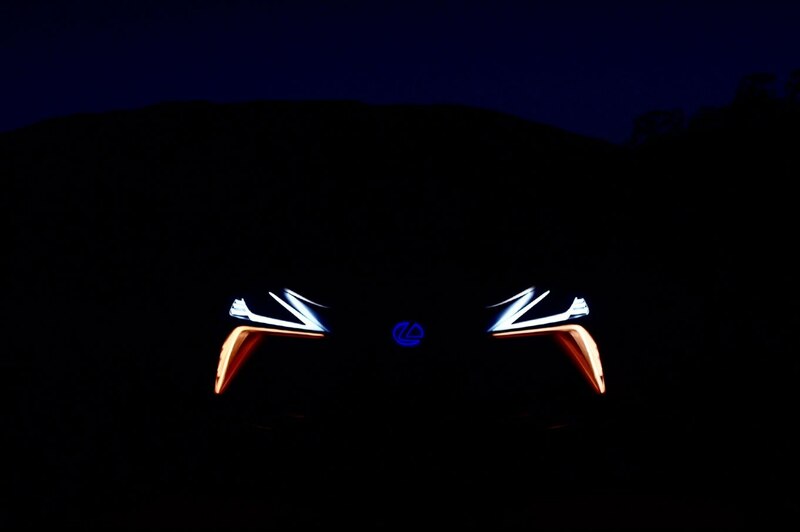 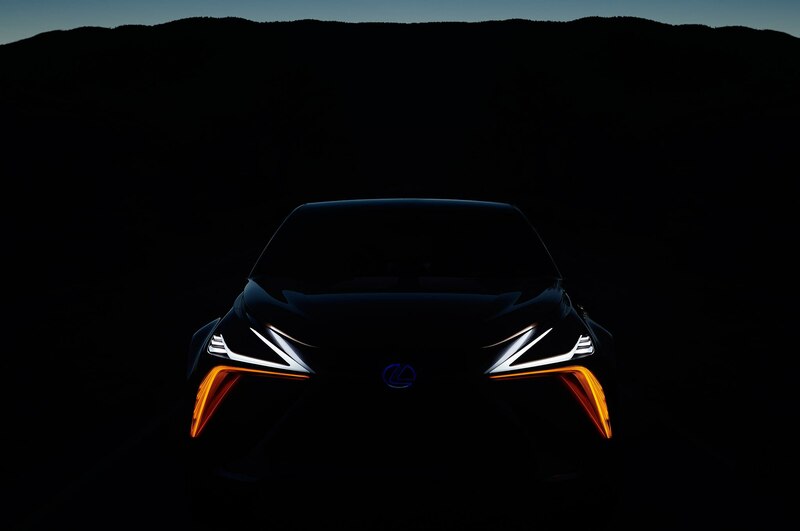 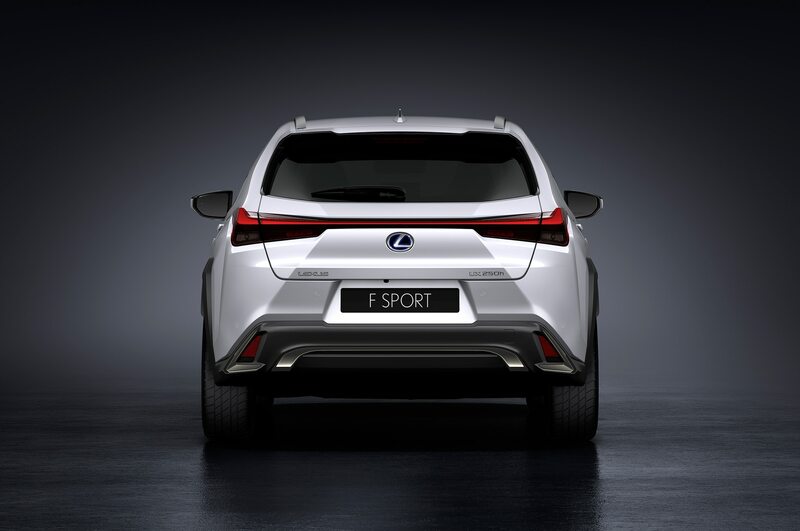 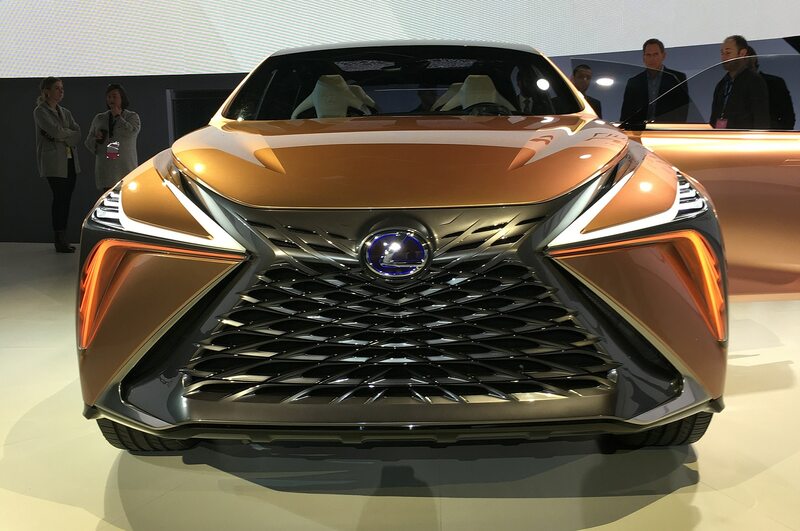 Lexus is promising by 2025 or thereabouts that every vehicle it sells will either have full electric or hybrid powertrains as part of the product mix, so expect any real-world version of the LF-1 to come with multiple propulsion options. 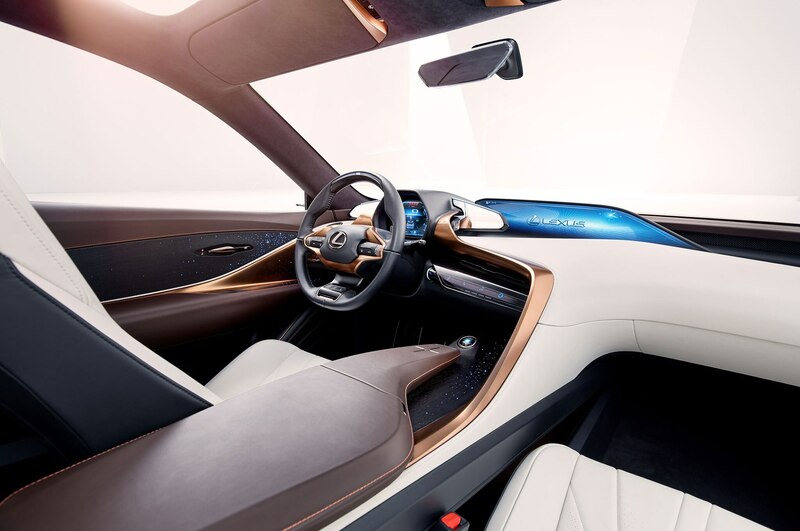 As Tesla has shown, battery-powered cars can be blindingly fast and more than acceptable from a ride and handling standpoint. 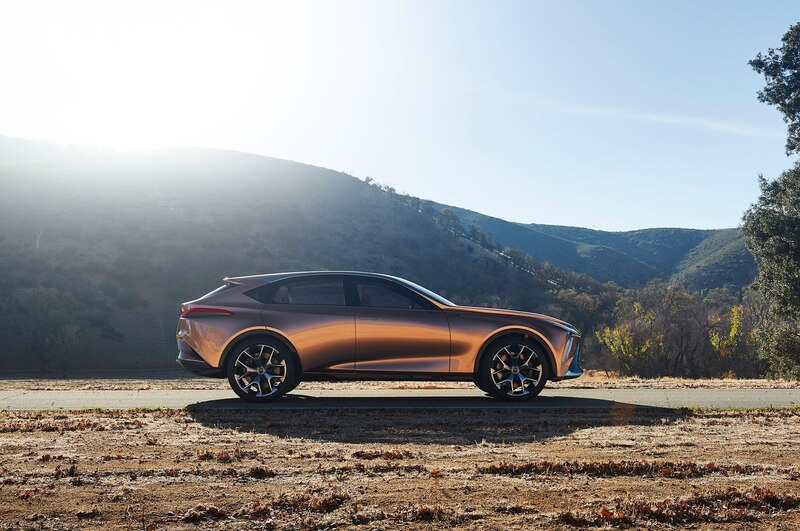 Styled by the team at the brand’s Calty design center in Southern California, the remit was to deliver a vehicle with sedan-like performance with crossover attributes, namely a higher ride height and added cargo flexibility. 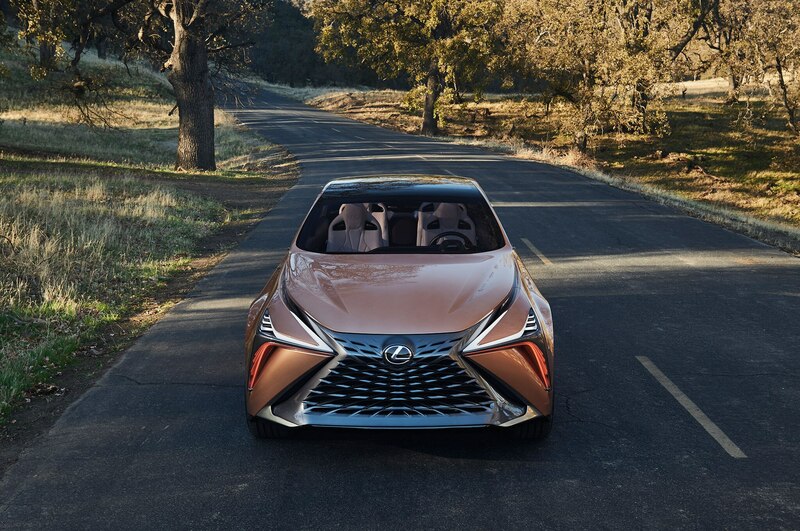 A crossover that doesn’t look or feel like a crossover. 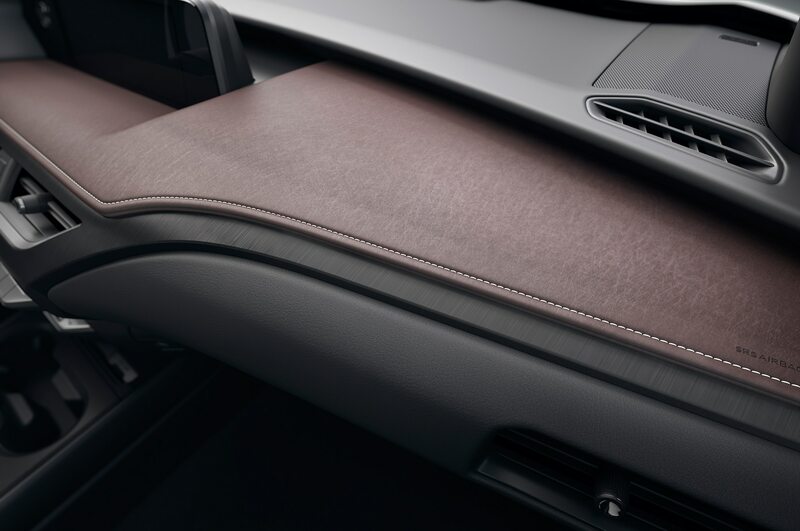 Neat trick if you can pull it off. 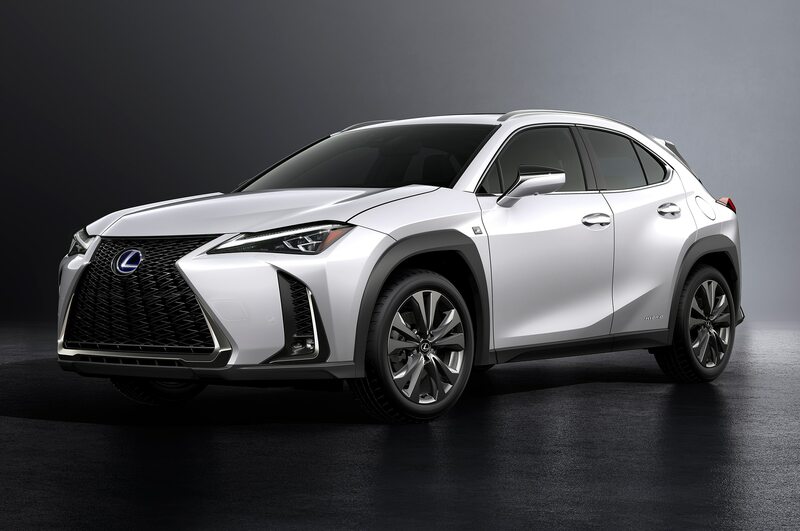 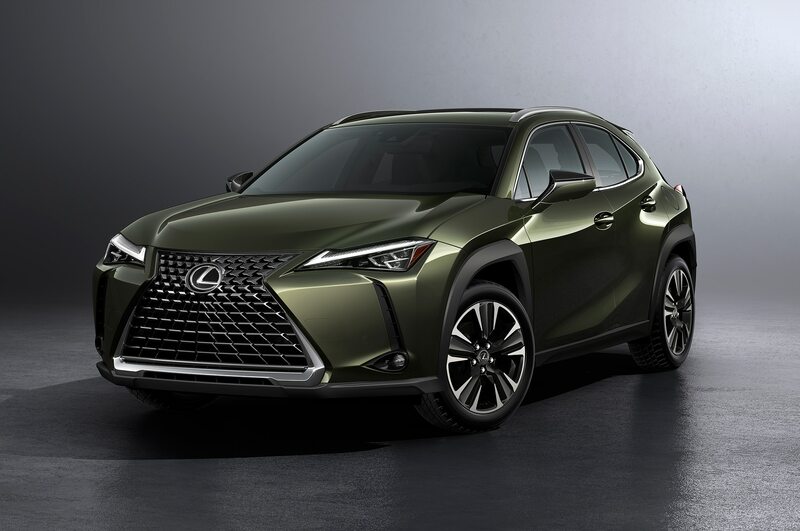 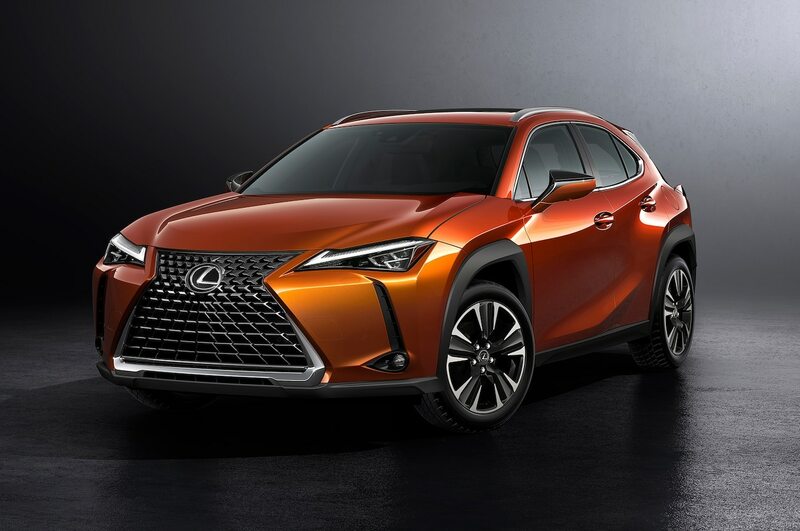 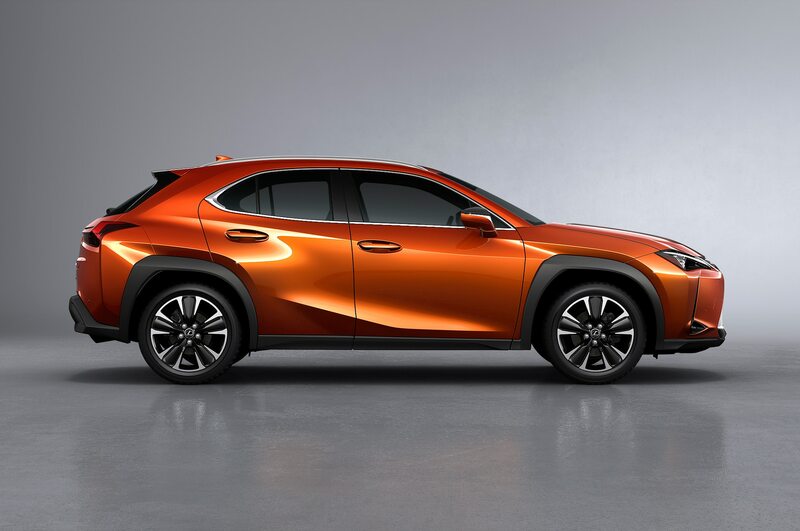 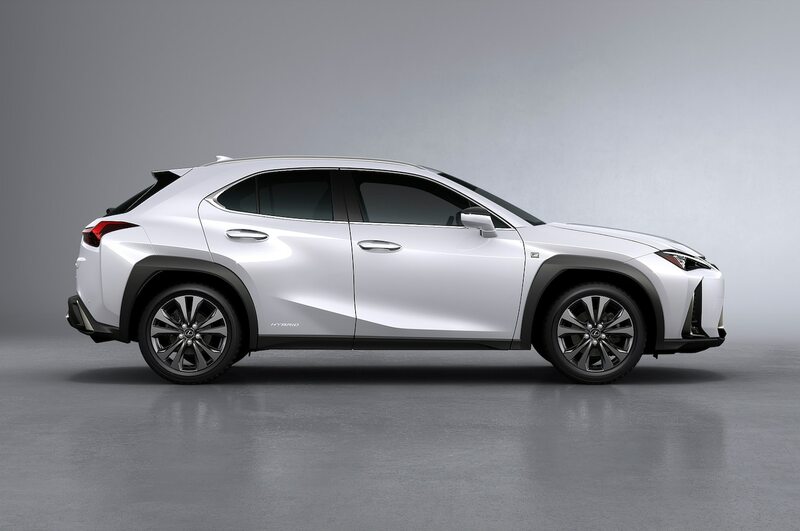 There are going to be limits to any crossover’s dynamic capabilities, and while it’s an attractive package, the Limitless doesn’t throw out the Lexus styling playbook. 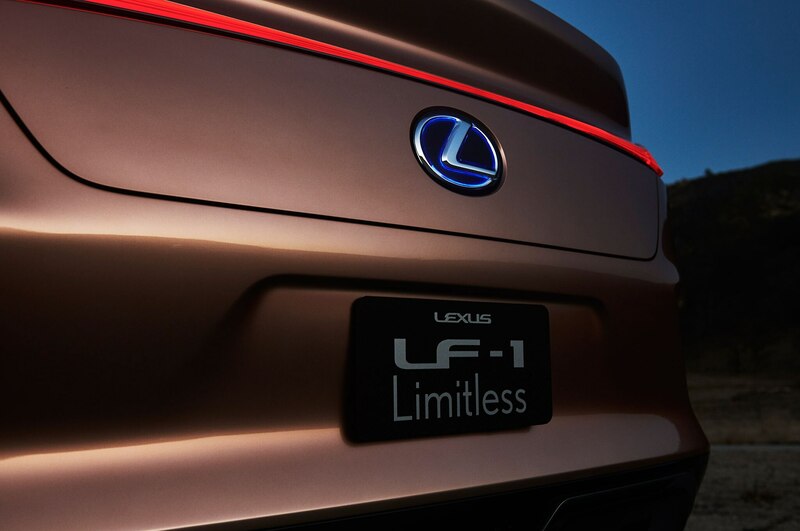 That said the Calty crew has done its part to imbue the LF-1 Limitless with sporty DNA. 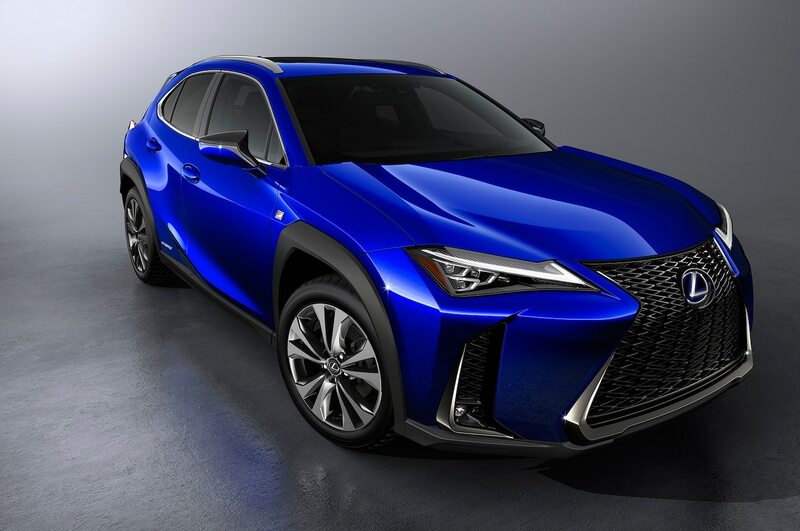 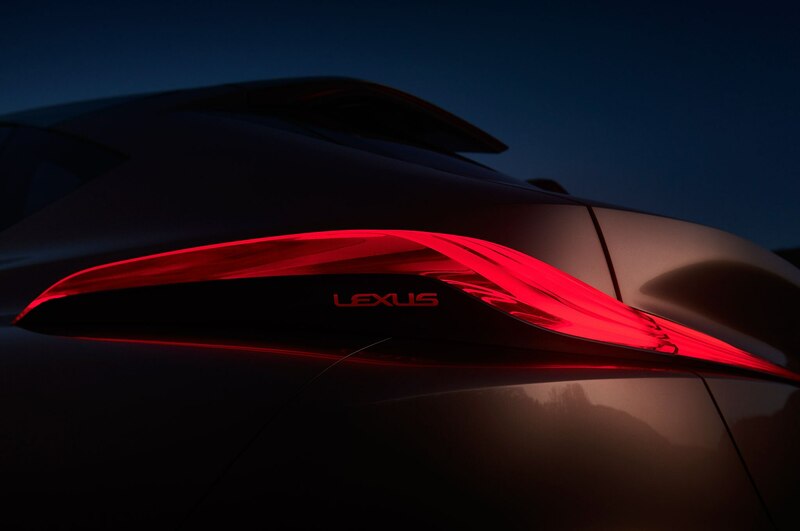 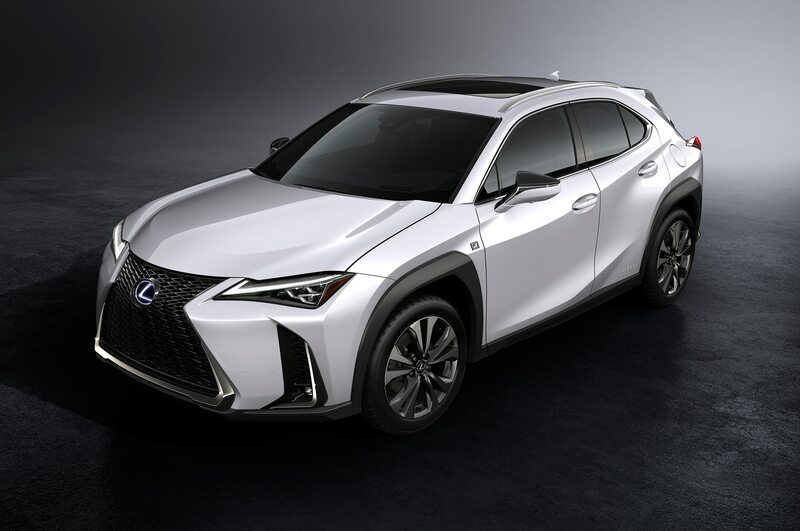 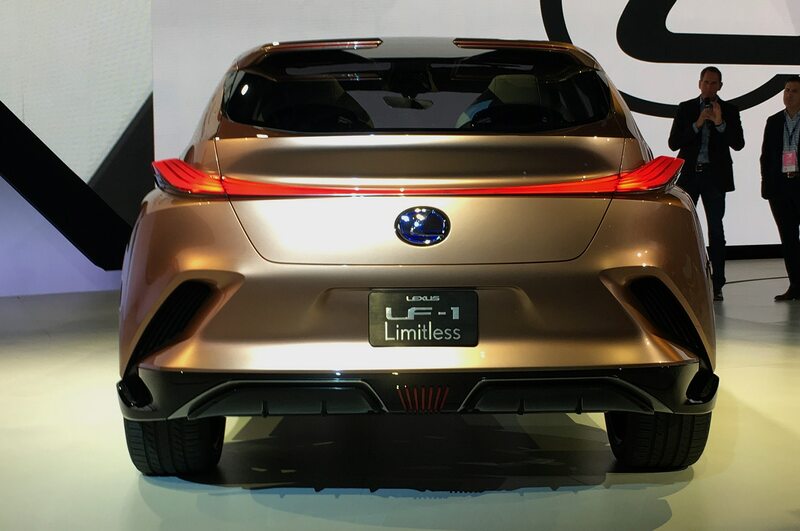 Kevin Hunter, Calty’s president, made it clear that Lexus wants to be “one of the most innovative automakers” of which the LF-1 is an embodiment. 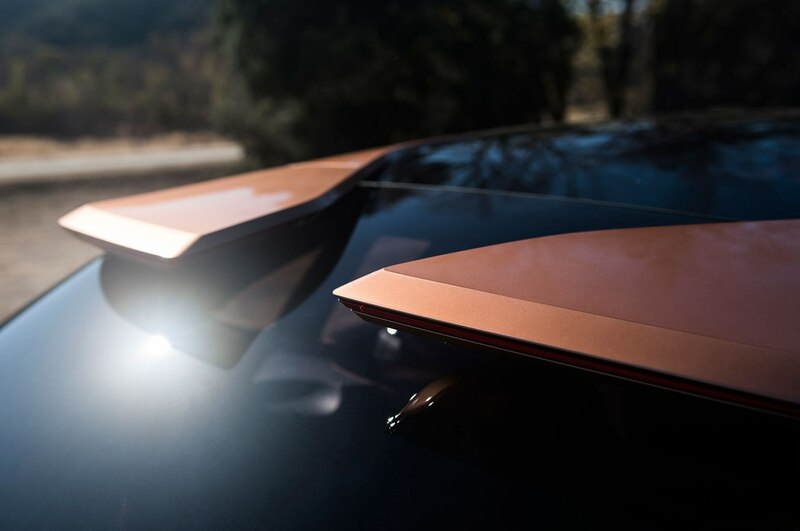 Employing a philosophy it calls “molten katana” (this is the coolest design term we’ve heard in a while), the team set out to mix sharp edges with flowing lines into a cohesive package. 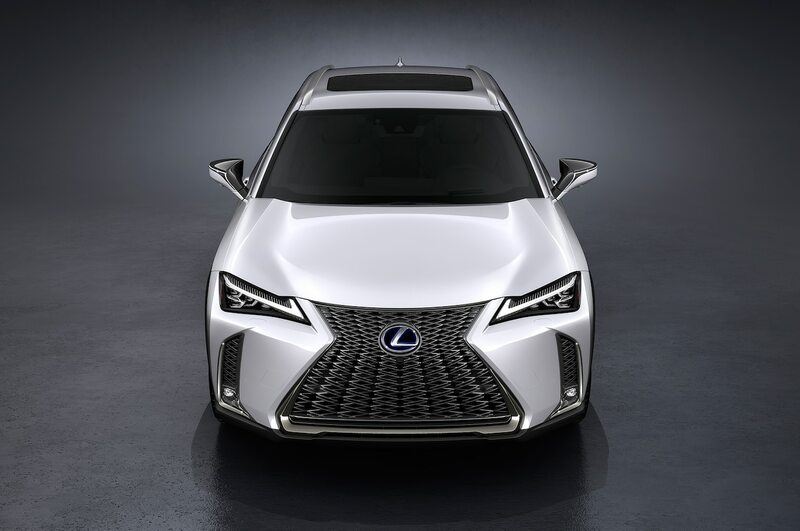 Out front, the Lexus signature spindle grille feature continues to be pushed and pulled, and on the LF-1 it’s adorned with a 3D-look mesh. 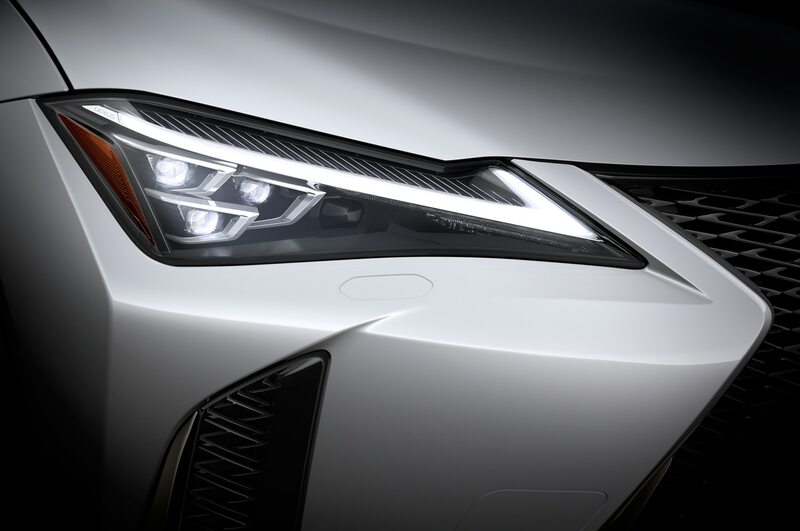 The katana elements get a workout in the development of the front lighting effects, with long, sharp strokes and thin lines swept back into the hood and fenders. 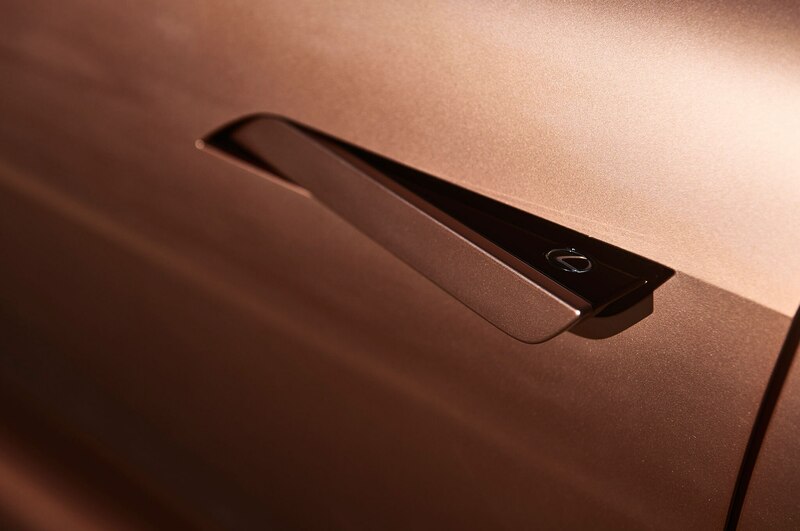 In profile is where the rose copper sprayed molten lava flows over the door panels, punctuated by a sharp line that moves from the front of the vehicle into the C-pillar. 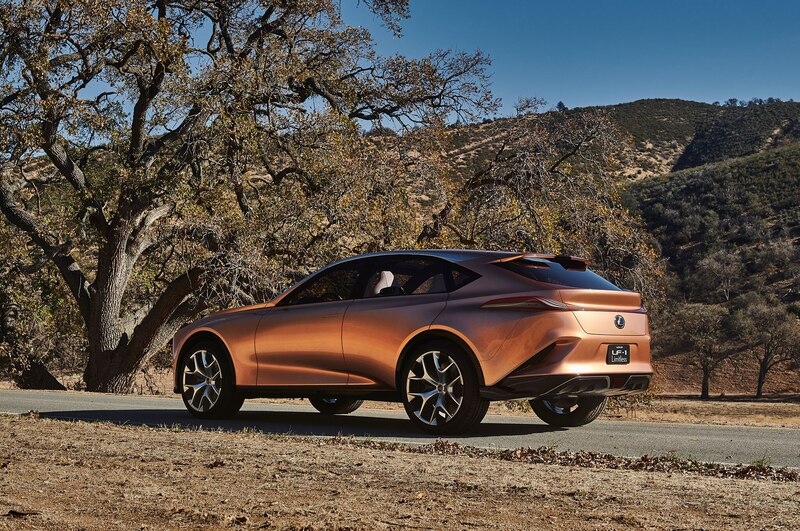 Thanks to its rear-drive platform (it was designed to have a similar layout to the LS sedan), the LF-1 has a decidedly sporty stance, 22-inch concept wheels fill up exaggerated wells, and it features a fastback, coupe-like greenhouse that’s become standard fare on sport-themed crossovers. 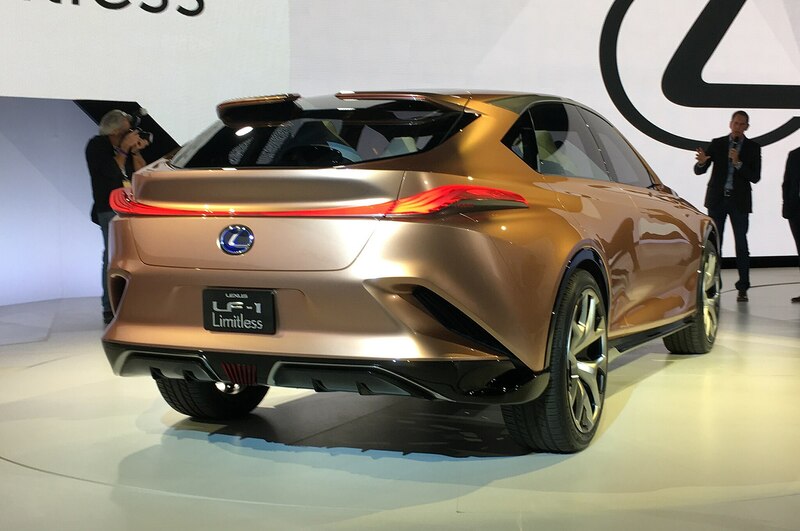 Interesting bits at the rear of the LF-1 include a split, roof top spoiler and swept up openings on each side that act as vents for the rear wheels. 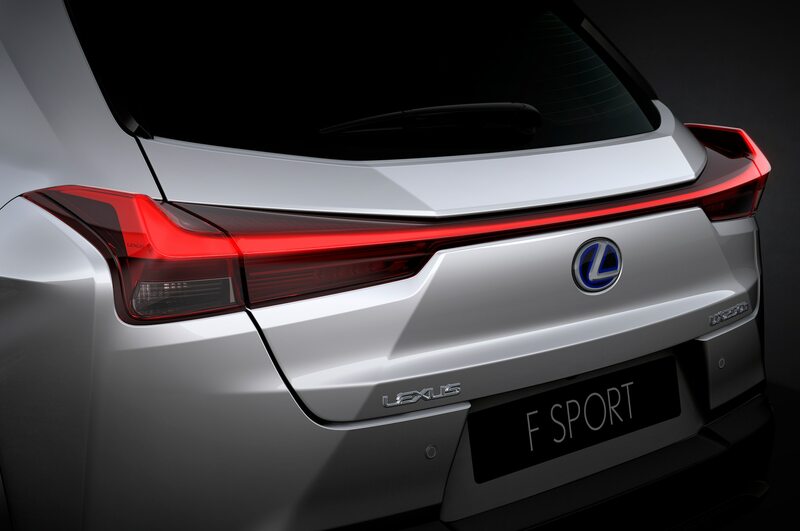 The rear lighting elements have a wavy, molten effect to them, and the back glass panel is designed to have more of an inside/out effect that integrates with the roof spoiler, allowing for greater visibility. 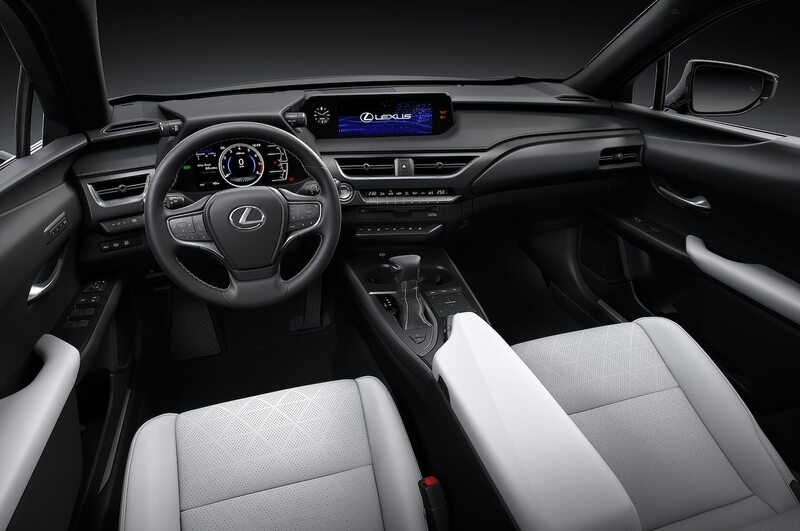 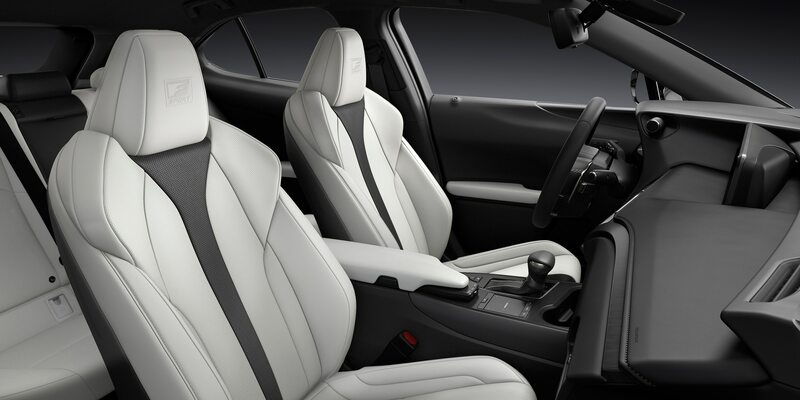 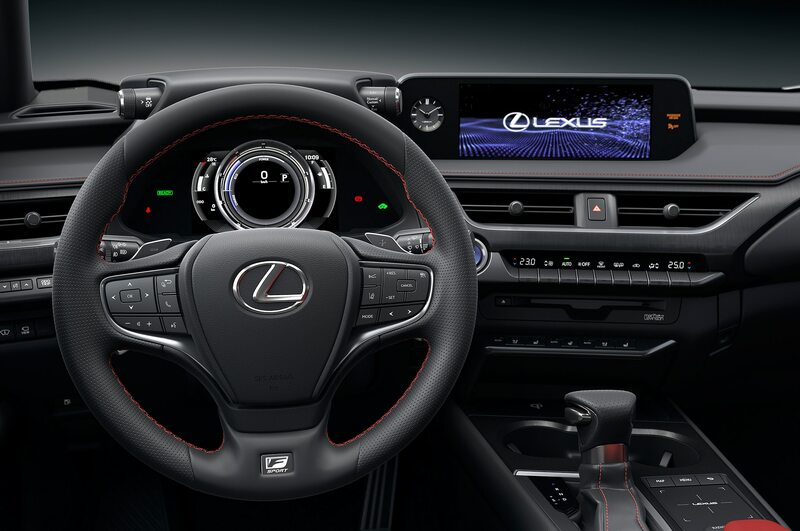 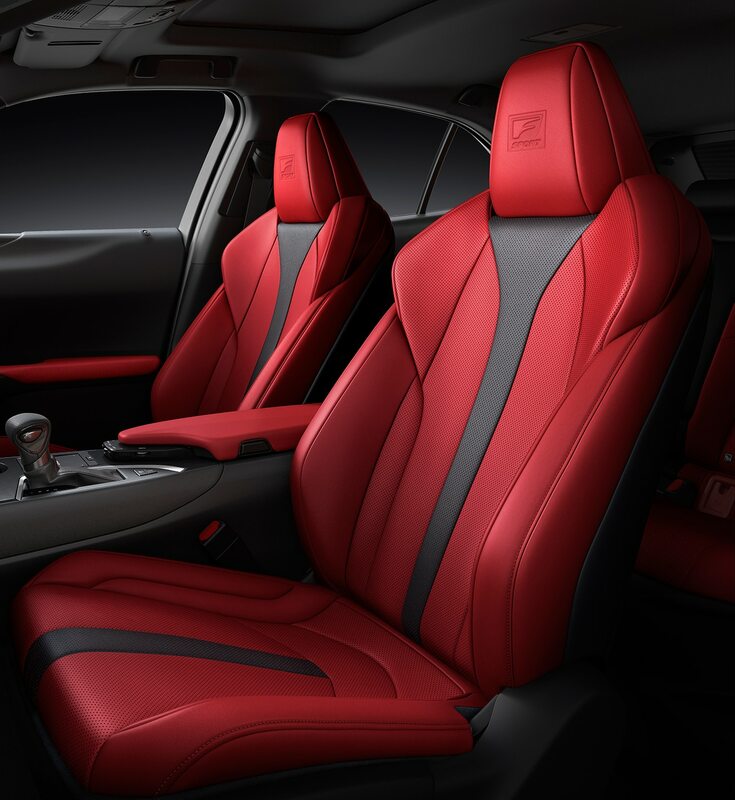 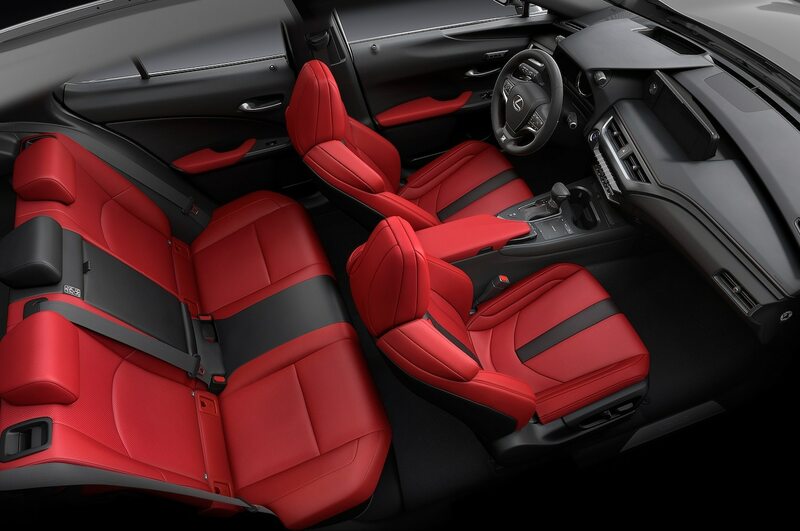 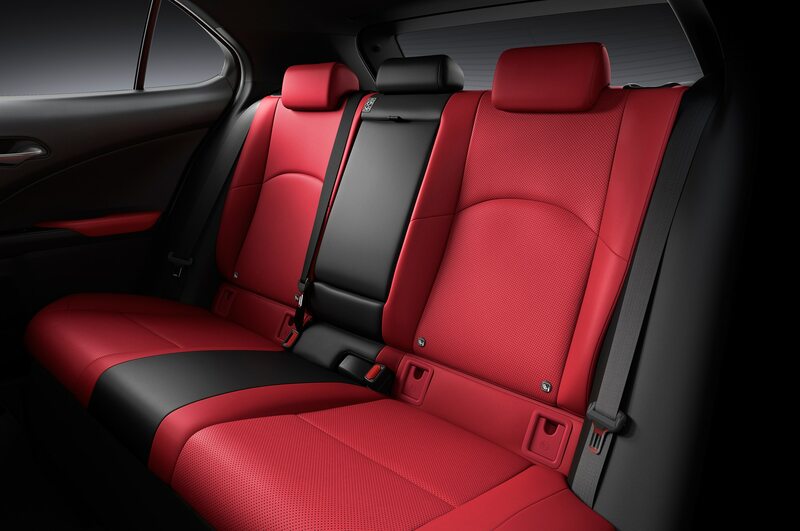 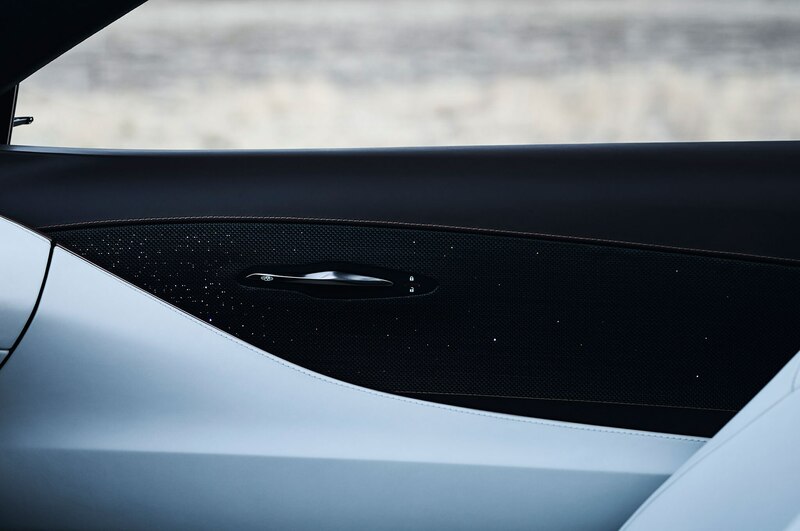 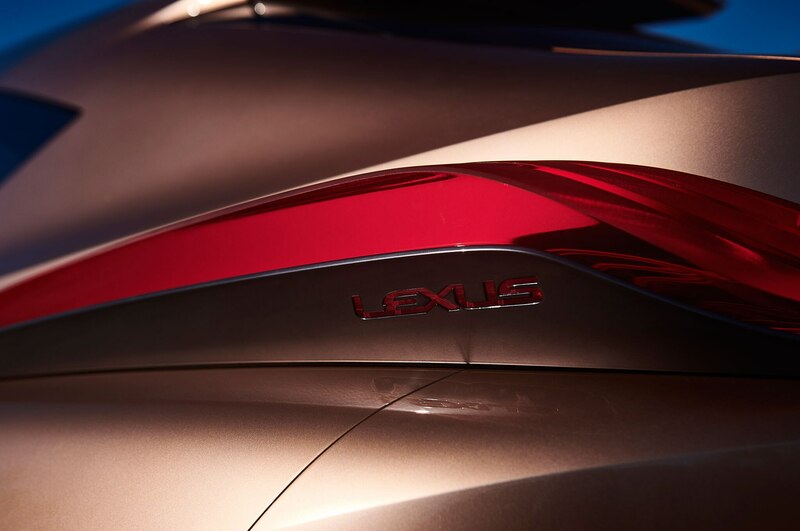 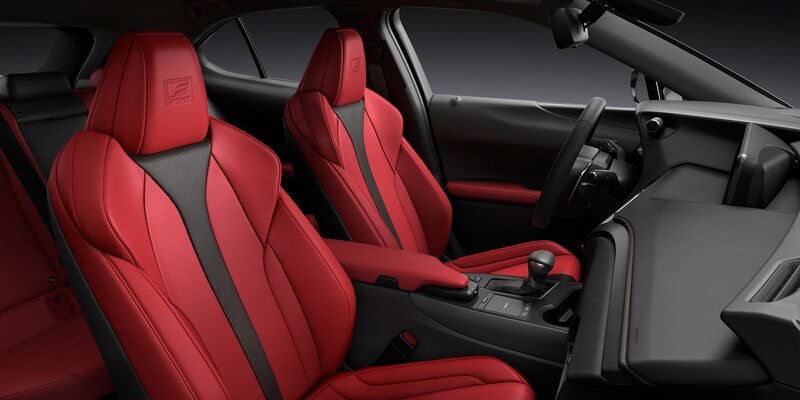 It’s an exterior package that enhances the Lexus brand identity and lends the LF-1 a decidedly upscale feel. 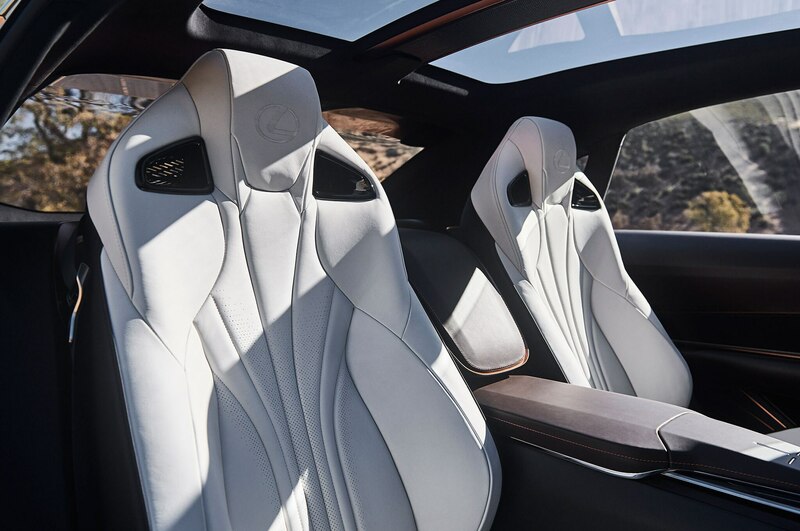 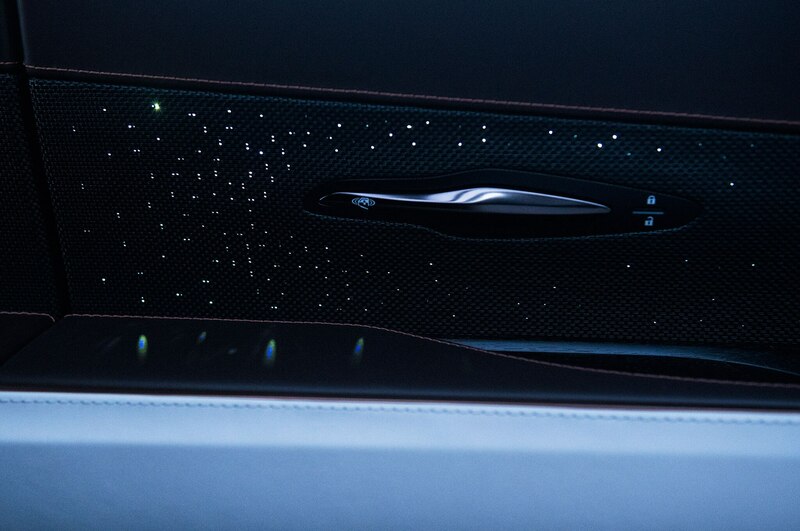 Inside the Limitless the luxury theme continues unabated, utilizing the brand’s Takumi craftsmanship approach it featured on the LS. 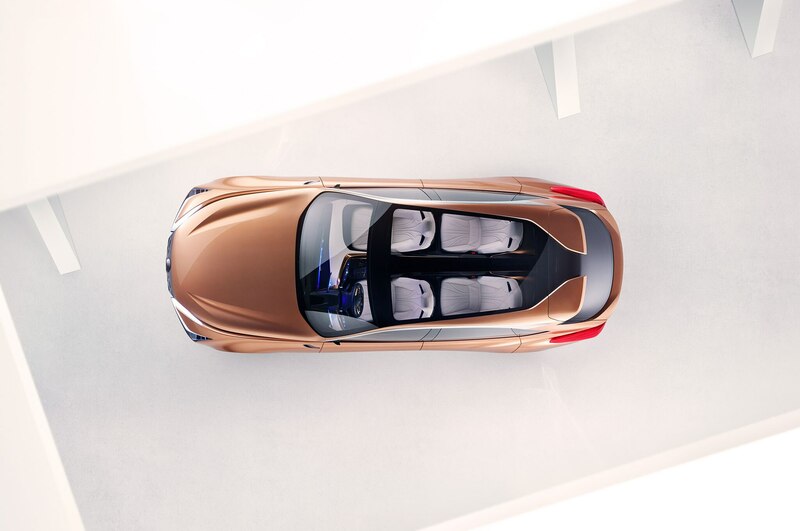 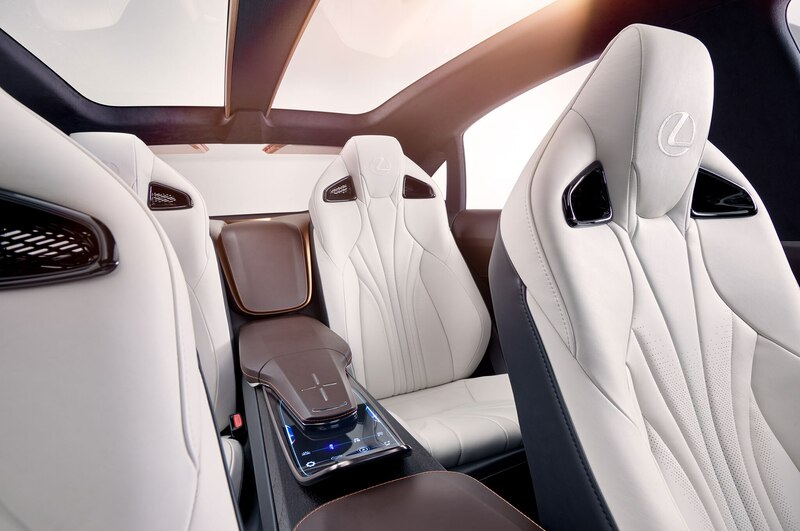 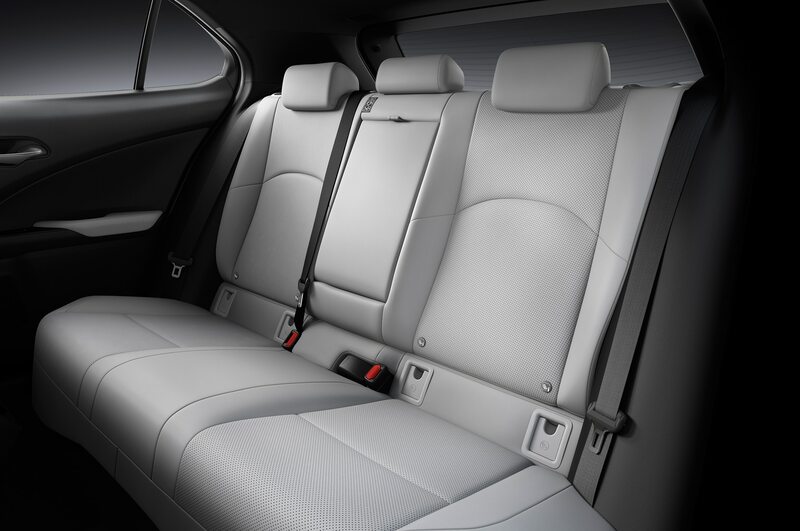 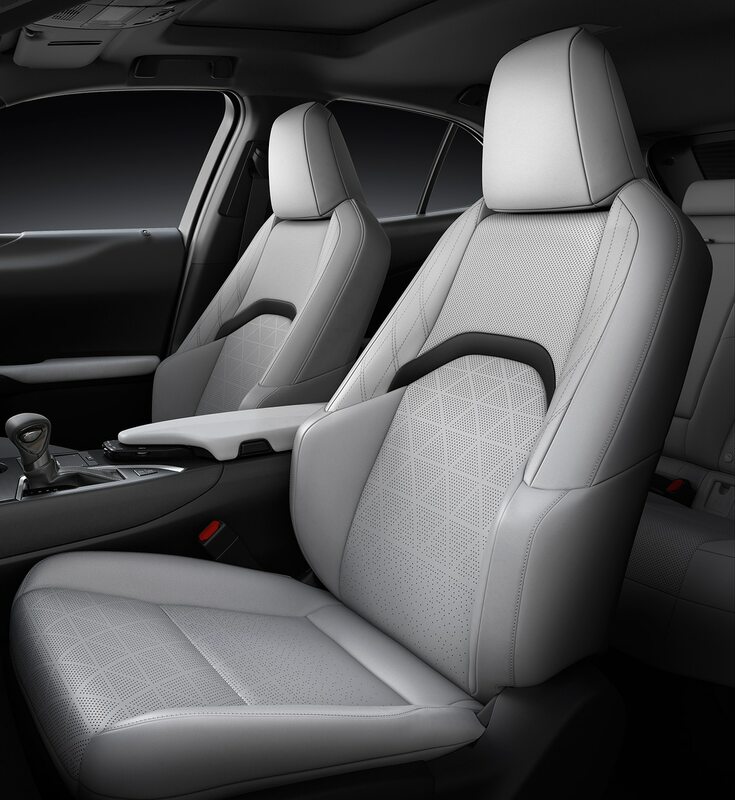 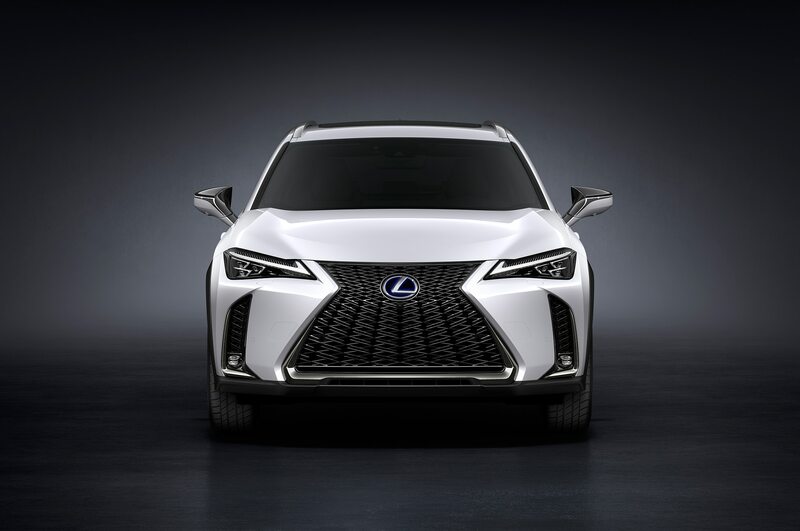 Awash in metallic accents tinged in a similar shade to the exterior, cocoa and white leather trim, and a number of lighting elements including LED-based starlight effects in the door panels, the goal of the LF-1 is to coddle all four passengers in comfort and a sense of hospitality. 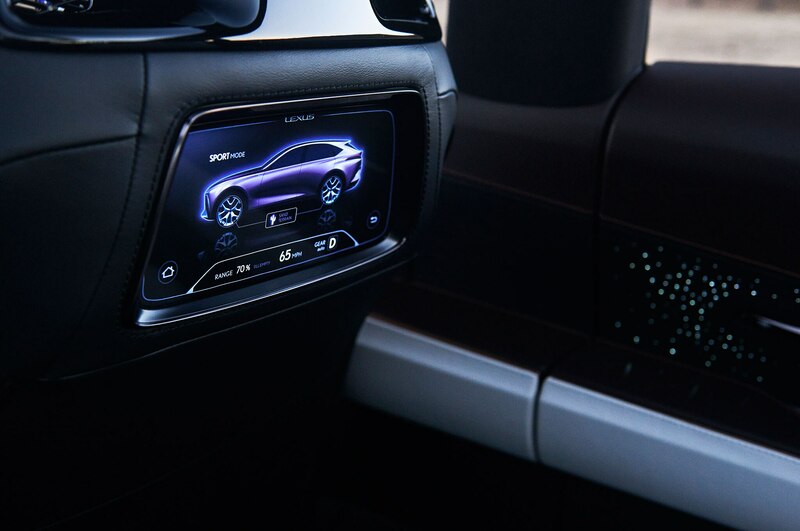 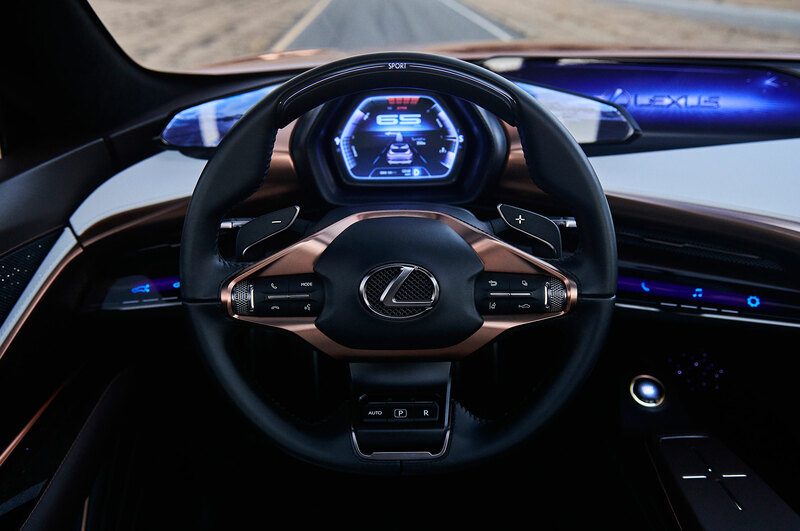 As you’d expect, driver and passengers also benefit from a variety of technological enhancements. 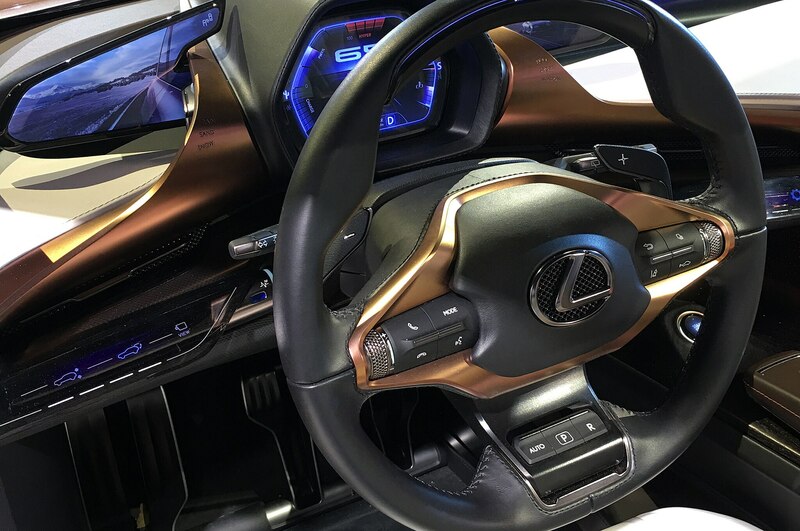 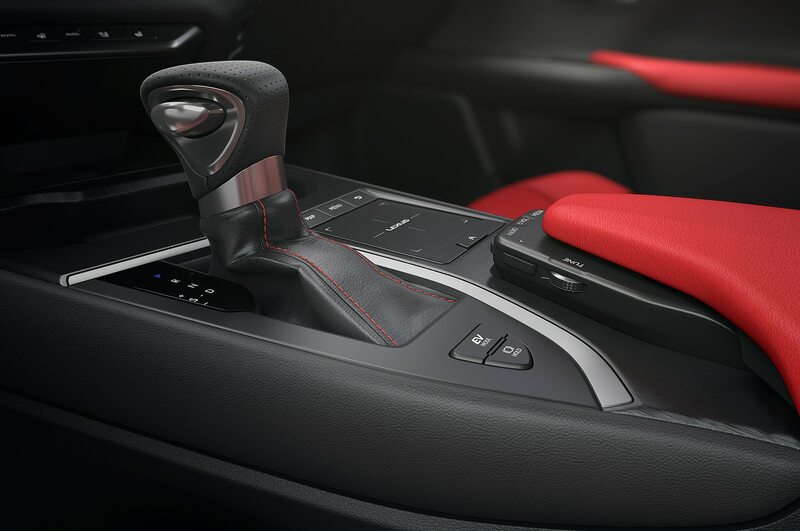 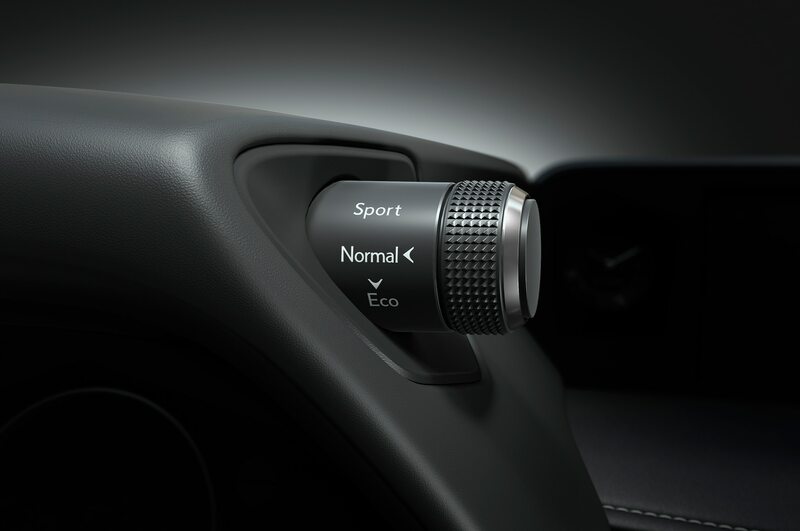 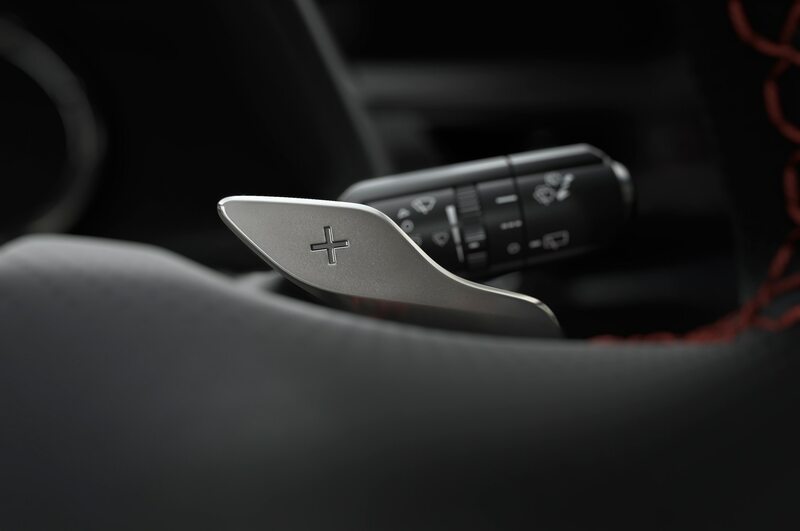 The driver controls most of the vehicle’s powertrain through the steering wheel, including park and reverse and acceleration by using the steering wheel pages. 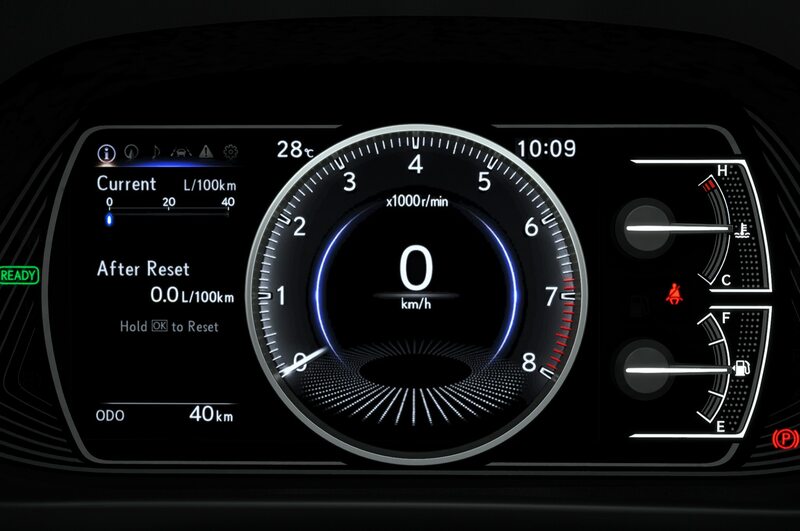 The instrument panel is a small and focused unit directly in eye level of the driver with wings on either side that display more information, and in the center area and other screens buttons are removed in favor of a haptic effect panel oriented toward the driver. 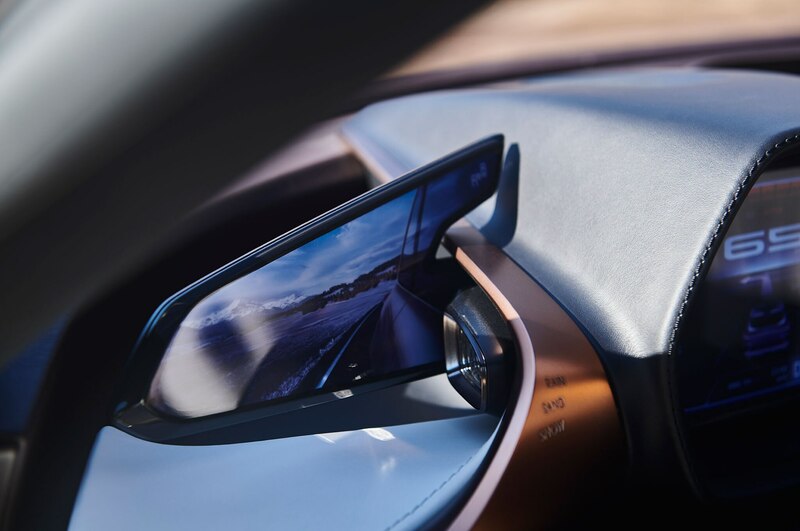 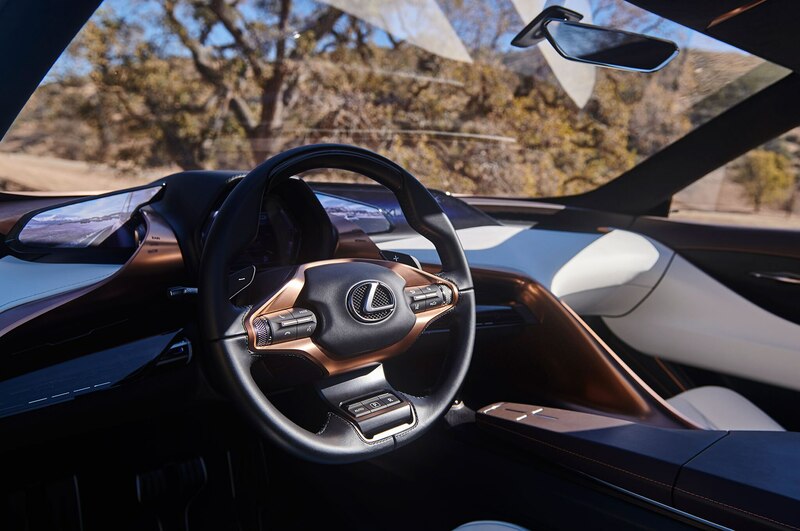 Once underway, the driver can take advantage of what Lexus calls Chauffer mode, a hands-free, semi-autonomous driving system. 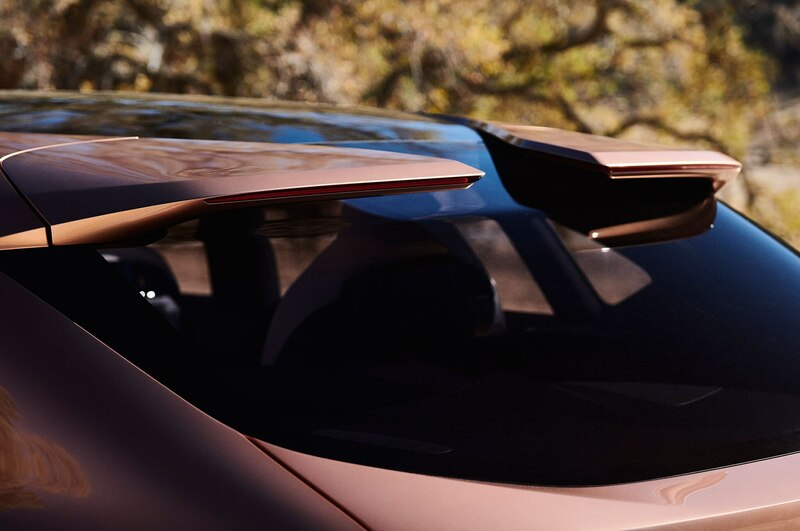 Then there’s the LF-1’s 4D navigation and entertainment setup, which is designed to anticipate and suggest where to eat, fuel up, and more using a time-based and predictive analysis. 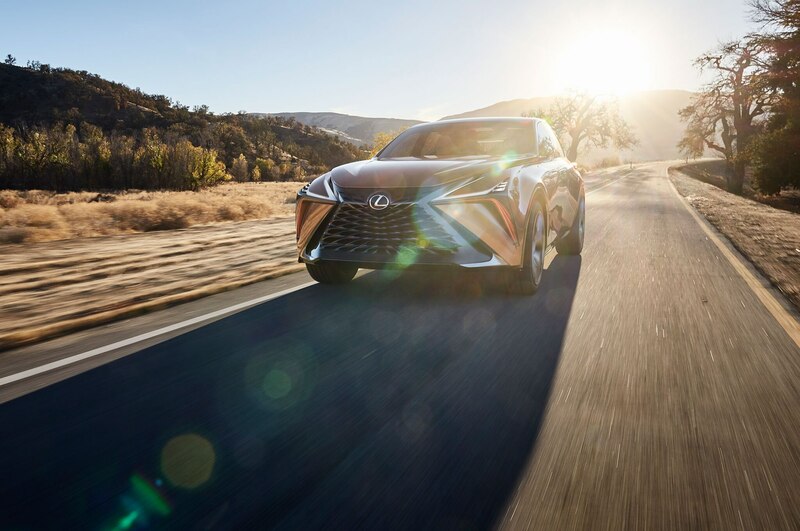 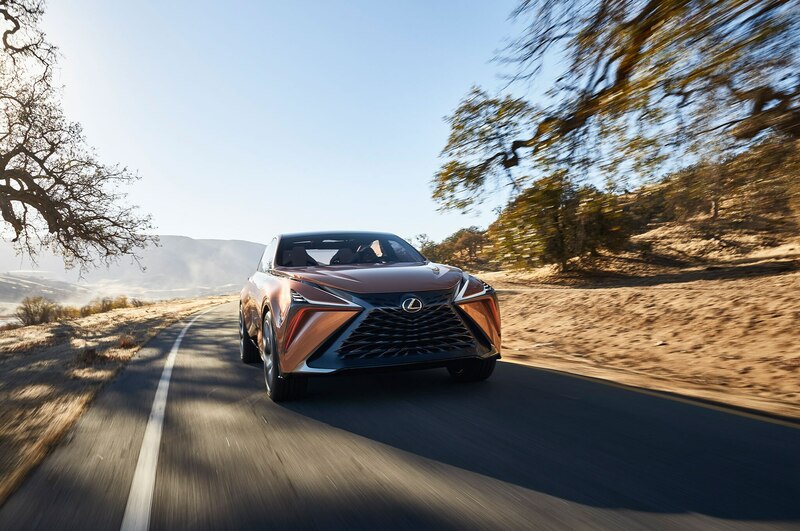 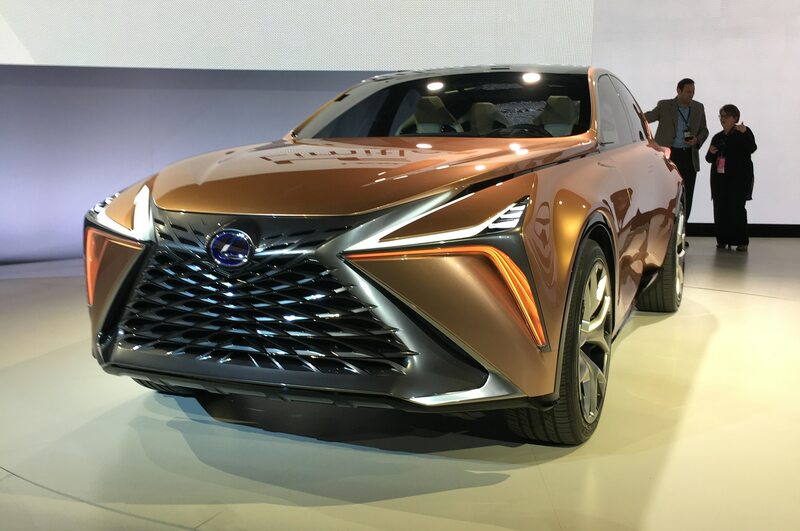 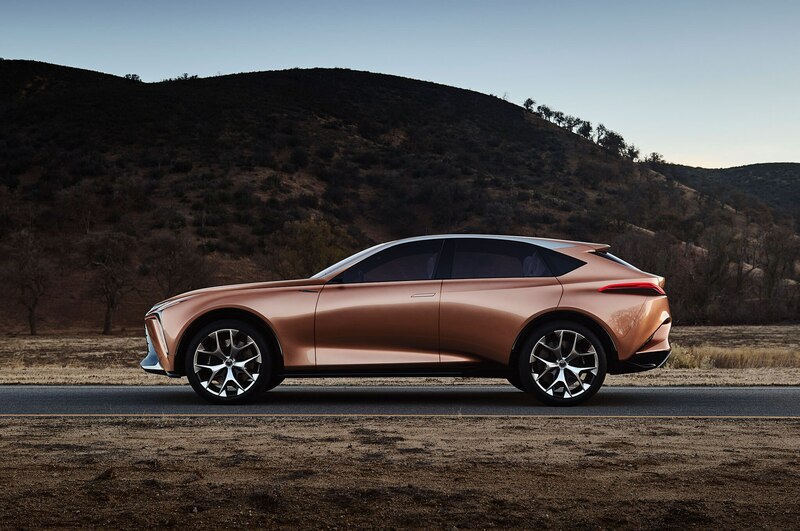 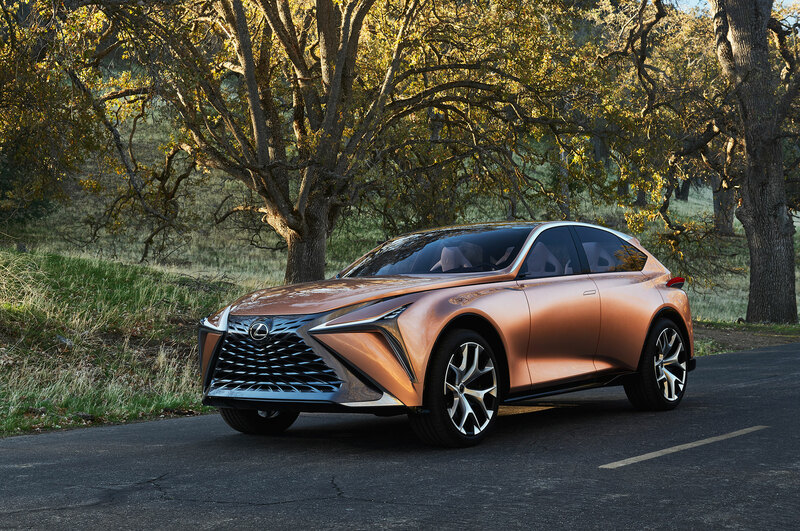 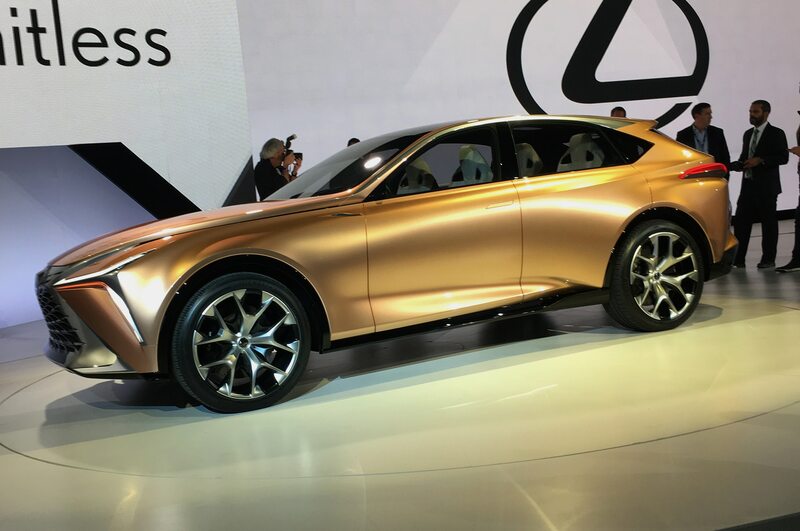 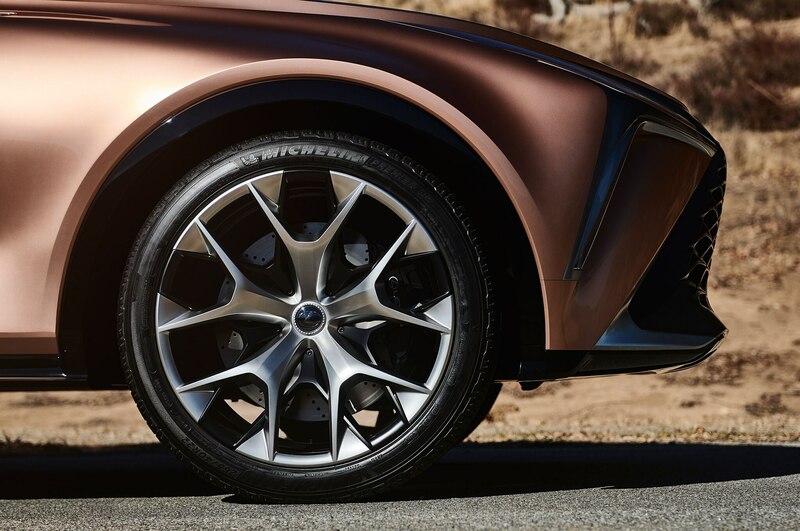 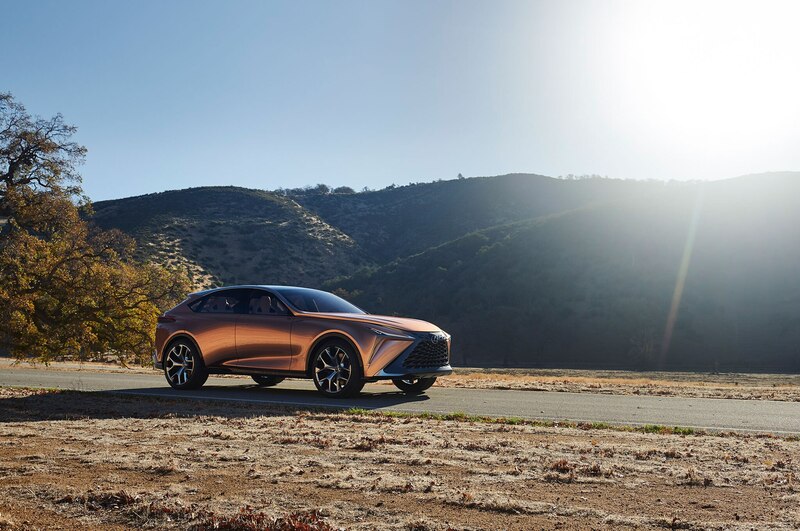 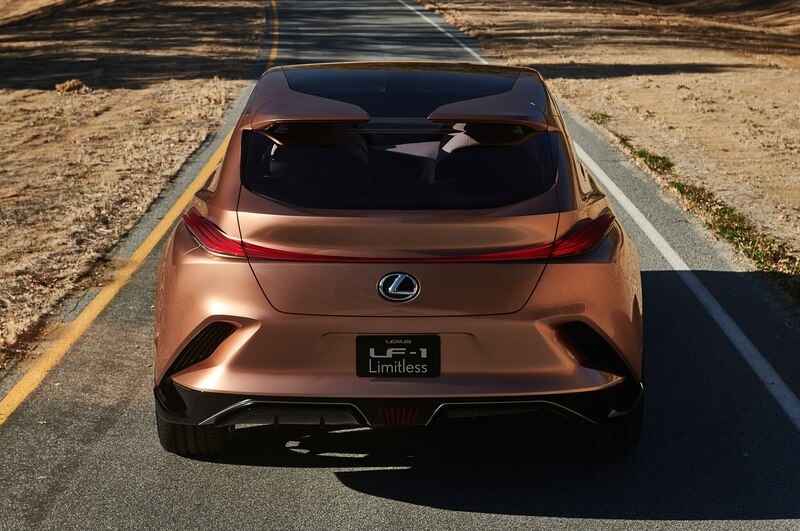 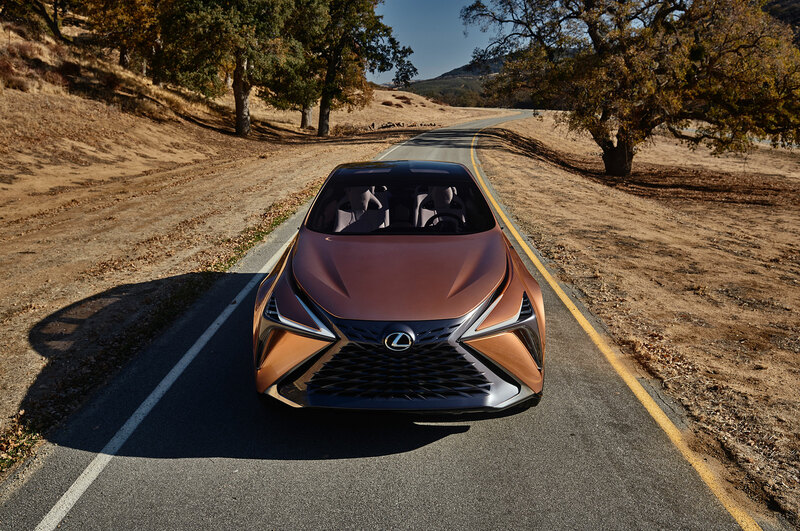 Taken as a whole, the LF-1 Limitless is a vehicle that makes sense for Lexus to build, and Hunter said the goal with any concept they build is to ultimately create something that’s achievable to produce. 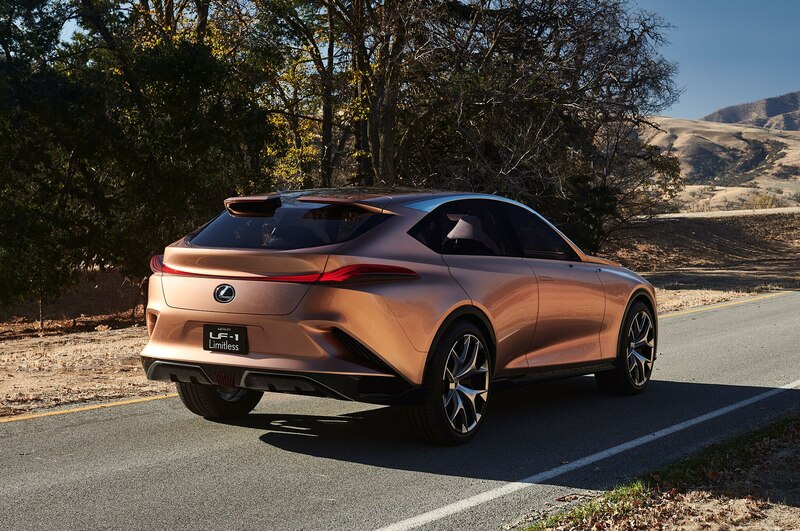 And while there will always be limits to any four-wheeled conveyance, the LF-1 concept pushes the boundaries of what Lexus can do as a brand. 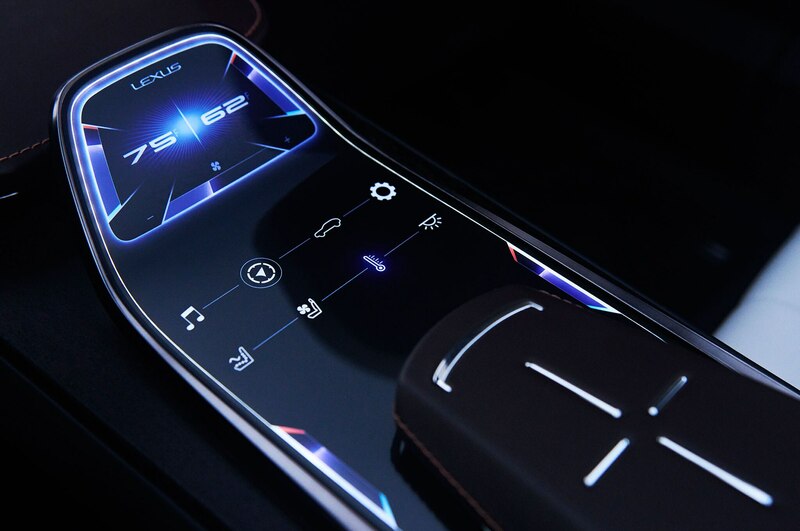 In that sense, it succeeds.